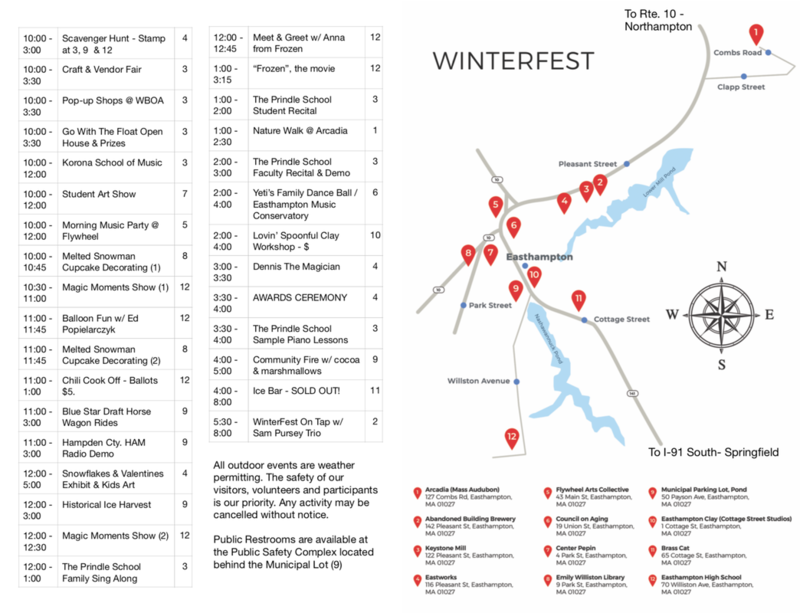 WinterFest is a city-wide event. If you are visiting us for the first time and not familiar with parking in Easthampton, we hope this can help. All parking in the city is FREE. On street parking available anywhere you can find it. See the map below. Keystone Mill (122 Pleasant St.) #3 Small lot across from building with ADA parking. Large lot behind building. Enter lot at American Legion at the end of all the mills. Parking attendants will be available as you approach Keystone. Arcadia (Coombs Rd. #1 Small lot. Family Dollar parking lot on Union Street - good access for Council on Aging, One Cottage St.